Associate editor Elise Favis looks at how Hellbade helped her come to terms with being chronically ill. The ports were announced during the Nintendo Direct. Fans can purchase a disc copy of the game on Xbox One and PS4 just in time for the holiday season. The psychological action game is getting a standalone VR edition that's free if you own the original. The newly acquired Microsoft studio celebrates a milestone. Ninja Theory's Hellblade gets a gorgeous new trailer, and it's confirmed that the game will be enhanced for PS4 Pro. See the game's animators and designers explain the monsters and environments in detail. 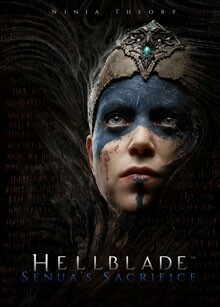 Hellblade: Senua's Sacrifice has some top-tier motion capture technology, and the creators of the game share how it was used to create an incredibly realistic virtual person.